Charles started his career in 1990 in the Ohio WSC, where he worked on hydrogeologic flow modeling, database management, and wetlands identification. After moving to Maine in 2003, he worked on flood-insurance studies, algal bloom issues, and road-salt investigations. Charles is a member of the Ground-Water Users Group. Schalk, Charles W.; Dudley, Robert W.
Scoping of Flood Hazard Mapping Needs for Androscoggin County, Maine; 2007; OFR; 2007-1131; Schalk, Charles W.; Dudley, Robert W.
Scoping of Flood Hazard Mapping Needs for Hancock County, Maine; 2007; OFR; 2007-1128; Schalk, Charles W.; Dudley, Robert W.
Scoping of Flood Hazard Mapping Needs for Lincoln County, Maine; 2007; OFR; 2007-1130; Schalk, Charles W.; Dudley, Robert W.
Scoping of Flood Hazard Mapping Needs for Penobscot County, Maine; 2007; OFR; 2007-1129; Schalk, Charles W.; Dudley, Robert W.
Dudley, Robert W.; Schalk, Charles W.
Scoping of flood hazard mapping needs for Cumberland County, Maine; 2006; OFR; 2006-1098; Dudley, Robert W.; Schalk, Charles W.
Scoping of flood hazard mapping needs for Kennebec County, Maine; 2006; OFR; 2006-1099; Dudley, Robert W.; Schalk, Charles W.
Scoping of flood hazard mapping needs for Somerset County, Maine; 2006; OFR; 2006-1100; Dudley, Robert W.; Schalk, Charles W.
Schalk, C.W., and Schumann, T.L., 2002, Hydrogeology, ground-water use, and ground-water levels in the Mill Creek Valley near Evendale, Ohio: U.S. Geological Survey Water-Resources Investigations Report 2002–4167, 33 p., https://doi.org/10.3133/wri024167. 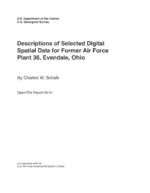 Descriptions of selected digital spatial data for former Air Force Plant 36, Evendale, Ohio; 2000; OFR; 2000-91; Schalk, Charles W.
Schalk, C.W. ; Tertuliani, J.S. ; Darner, R.A. Identification of potential wetlands in training areas on Ravenna Army Ammunition Plant, Ohio, and guidelines for their management; 1999; OFR; 99-68; Schalk, C. W.; Tertuliani, J. S.; Darner, R. A. 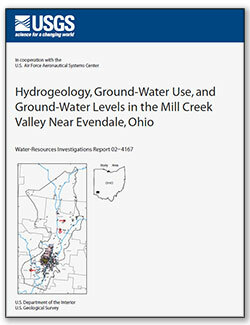 Analysis of the sensitivity of soils to the leaching of agricultural pesticides in Ohio; 1998; WRI; 98-4108; Schalk, C. W.